We’ve just updated Vend for web and our Vend iPad app to add something you and your customers will love – gift cards! Not only are gift cards the most requested item for birthdays and holidays, they’re also great for your bottom line, with 65% of gift card redeemers spending almost 40% above the value of their card! Now we’ve made it easy for you to sell and redeem professional, flexible, and customizable gift cards using Vend. Gift cards are completely free on Vend’s Advanced and Multi-Outlet plans. And, you don’t need to worry if you’re switching to Vend’s new Sell screen – it’s linked to your current backend system, just like the previous Sell screen was. All reporting, inventory and sales data will be updated automatically, as usual. *Only admin users can enable gift cards, but once enabled all users can sell and redeem them. When you enable gift cards, they automatically appear as a product and payment type in your store. You can load in whatever amount you want at the time of sale, and redeem them using a barcode scanner or by typing in the code. And you don’t have to lose any current gift card data – you can simply import it into the new system. Make your own gift cards, buy them from a vendor, or use our preferred supplier to get a discount and help with your designs. Get creative with your gift cards. Hire a designer or get out the craft kit and make them yourself. All you need to get going are unique codes. Use Vend on your web browser, or the Vend Register for iPad app to sell and redeem gift cards. 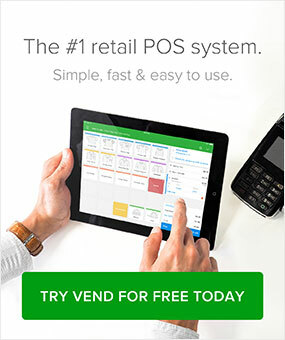 First, make sure you’re using Vend on a Mac or PC or Vend on iPad. If you’re not already using Vend, now’s the time to take a look – we’ve also added Vantiv integrated payments (US), Tyro integrated payments (Australia), loyalty, and returns. 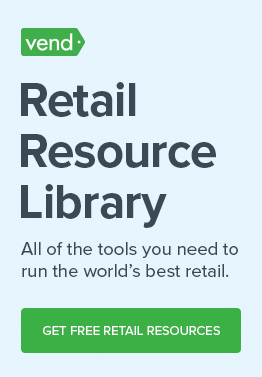 This page will help you set up gift cards in your store. If you need any more help, make sure you check out our handy Help Center article or Training Webinars. Angela looks after product marketing at Vend with a particular penchant for payments (say that 10 times fast). Born and raised across America (she's lived in 9 states and visited 48 altogether!) Angela now lives down-under. She works hard to get Vend's amazing new product launches out to customers, and is the biggest, and probably only, Washington Capitals hockey fan in New Zealand. Can gift cards be topped up? No. They are single use. Is there a list where I can see all the used Gift Card numbers? Curious: what would be the suggested procedure for a stolen or lost card for this set up? Also, I’d like to know if these cards are reusable? i.e. Can customers top the cards up and can we monitor their usage via vend? Thanks In advance. No, the cards are not reusable. For lost or stolen, you can always reissue a new card through importing gifts via CSV. I see this was asked twice in the past year & still not answered – Can gift cards be re-charged? and can they be refunded to? ie: if a customer wants to make a return outside of the store’s refund policy time period, but is eligible for refund to store credit, can the balance of the return/refund be issued to a gift card directly? Or do you have to make two separate transactions (a refund & a sale) to achieve this? Do you have to use physical cards? Eg Can you issue e-cards via email (eg with number and pin). Hi Hamish, Vend doesn’t provide that functionality. The preferred payment processor provides that. Feel free to contact me, and I can give you more info.